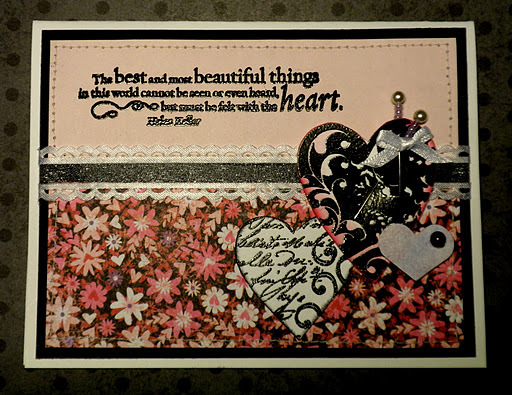 What beautiful cards you all made for the January challenge…..so glad we made it to over 50 entries!! So Our Daily Bread Designs will be sponsoring two boxes to go to our heroes. Thanks to all who entered, and to our friends at ODBD for their generosity! Congratulations! Email dotti at operationwritehome dot org with ODBD winner in the subject line, and she’ll hook you up with your prize! 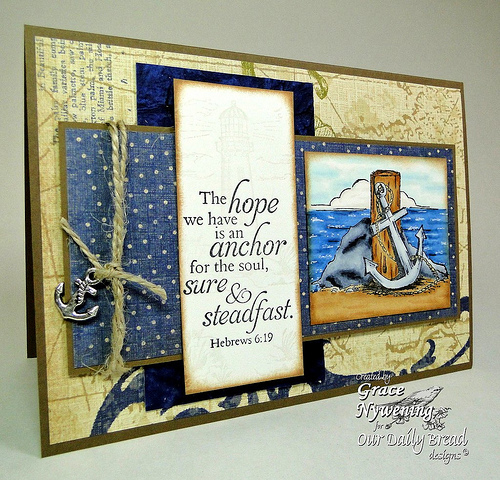 And in honor of our crafters who are sailing away with our fearless leader Sandy today (the cruise sets sail! 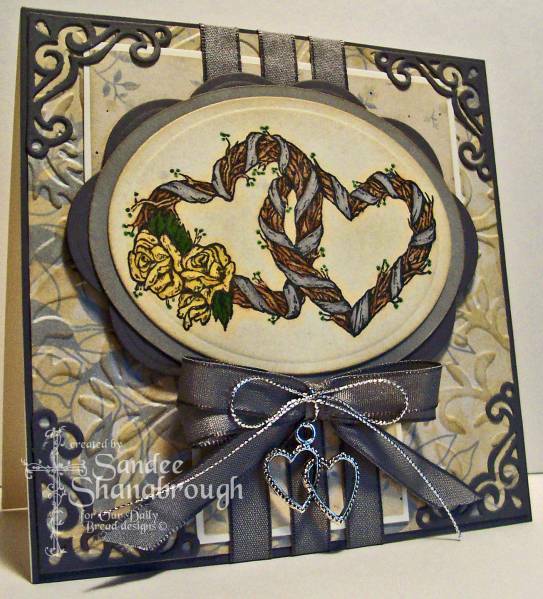 )….this month we’re having a challenge to USE YUMMY RIBBON on your card! You know how much she loves it….so let’s see how many creative uses we can come up with for ribbon. 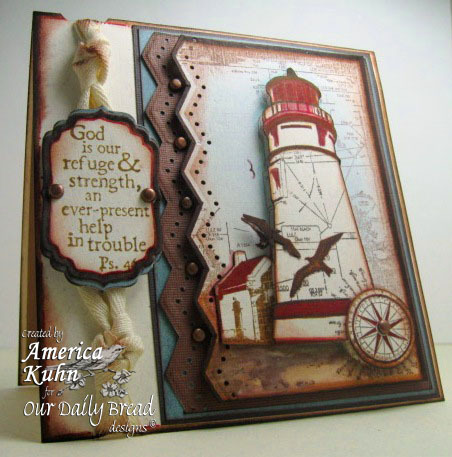 Here’s this month’s inspiration from the ODBD gallery….this should get everyone’s mojo on! It’s Sandy here with a special new challenge! 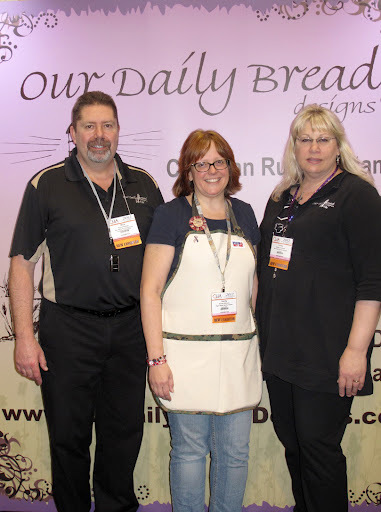 Our new friends over at Our Daily Bread Designs came to OWH after hearing about us from a wonderful cardmaker, Michelle – and ODBD wants to sponsor a monthly challenge in support of our heroes! Woohoo!! 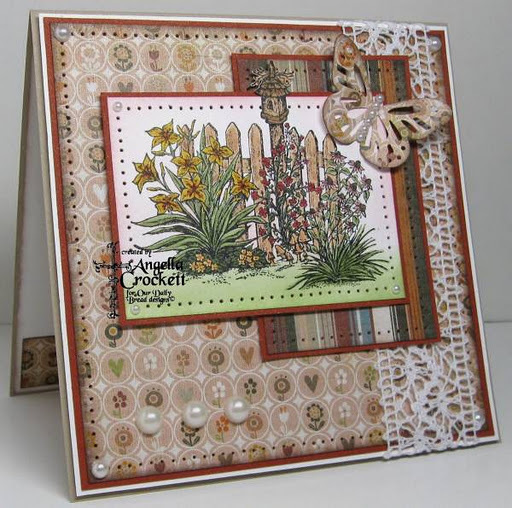 Every first Saturday we’ll be posting the challenge here on the Stars and Stamps blog, and you’ll have all month til just before next challenge starts in December to get your card linked up. ODBD is offering TWO generous $25 gift certificates for prizes, so you’ll want a chance at that! 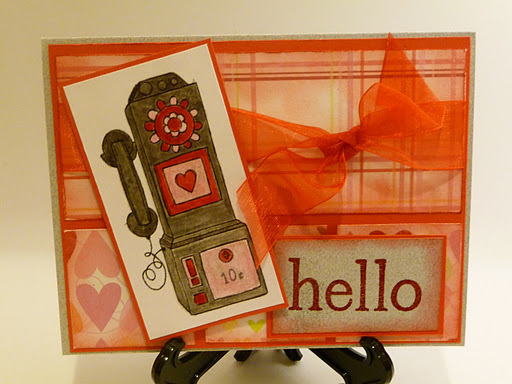 November’s challenge: VALENTINES and LOVE cards! 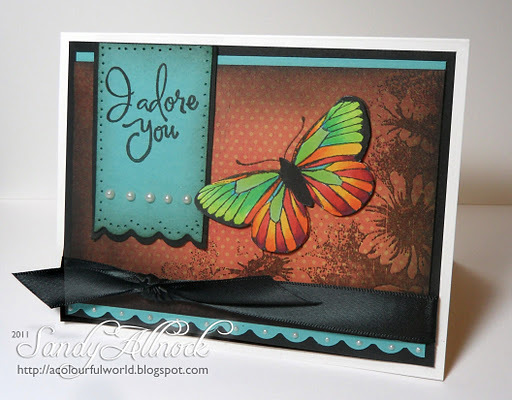 I was so excited about this challenge that I grabbed this gorgeous butterfly corner stamp and went to town with it! 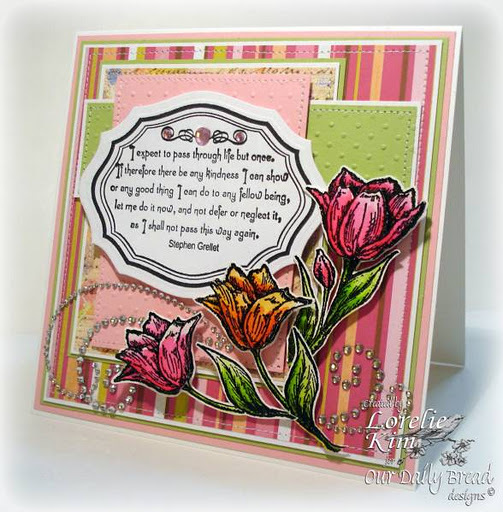 I’ve got a few more ODBD cards on my blog today if you want to check them out. 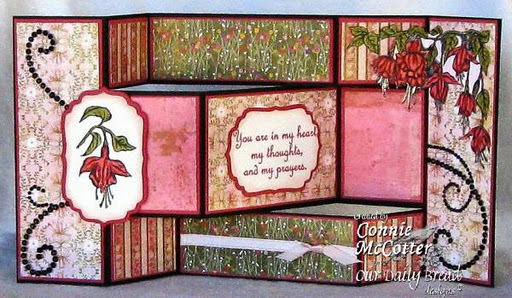 I asked ODBD for some beautiful inspiration to share with you today – and spent HOURS in their gallery browsing. Oh MY! It was so hard to pick out just a few. You will absolutely want to go spend some time there…just check out the incredible detail in so many of their lovely creations! 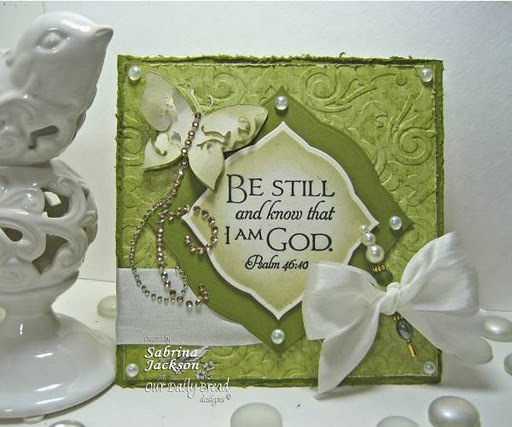 Here are a few of the cards I picked out to share…. 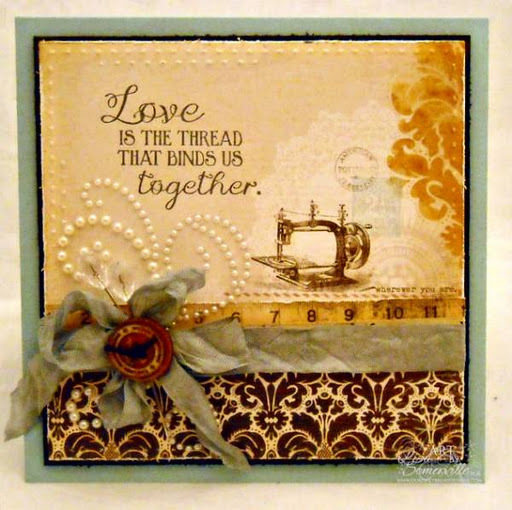 by Angela Crockett, “Love is the thread” – blog Body, Mind, Spirit, and Stamps! 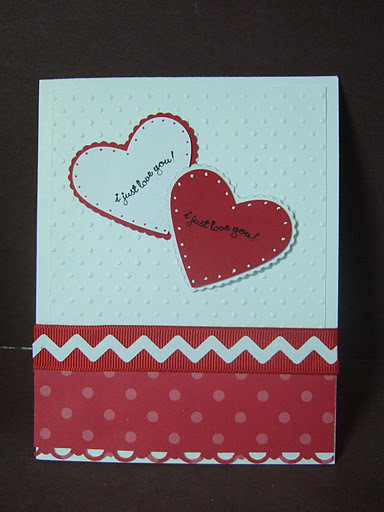 Now go make a love card – and add yours in the InLinkz below! Let’s see if we can reach 50 entries – one per person. 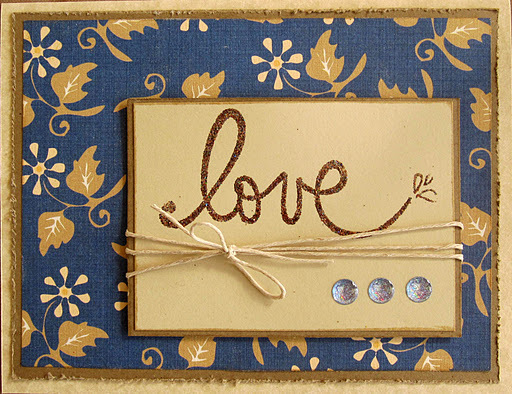 Go share on your blog and get your friends to add a love card for our hereotoo!